The healthcare division of comms agency giant Ketchum is weathering a tough month following job cuts and a key resignation. The UK healthcare team will see six redundancies affect senior and longstanding employees, reducing its staff size to around 30 people. The agency is looking to develop individuals with experience in project and digital work, and it is understood that the move may have been prompted by the growing scarcity of big-money retainers. Said to be unrelated to the job losses, its global head Amanda Sefton leaves the firm at the end of the month to pursue her dream of entering into the wine trade according to PRWeek. 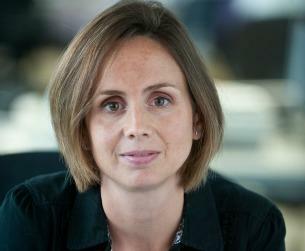 Sefton will be replaced on an interim basis by senior partner Lorranie Thelian after spending just over a year in the role. A spokesman for Ketchum said that the firm was ‘sorry to see Amanda go’ and that it was "consulting with six employees about a new staffing structure that is less top-heavy". Previous to roles at Ketchum, Sefton held positions at Ogilvy PR and served as director of Weber Shandwick’s Asia-Pacific healthcare practice while she was based in Hong Kong. She has worked on behalf of major national and international NGOs, non-profits and the UK Department of Health.